- A3 poster design of Robbie Keane, perfect for framing. A detailed periodic table of the goal scoring record of Robbie Keane. Every goal, opposition and date detailed in every atomic square. 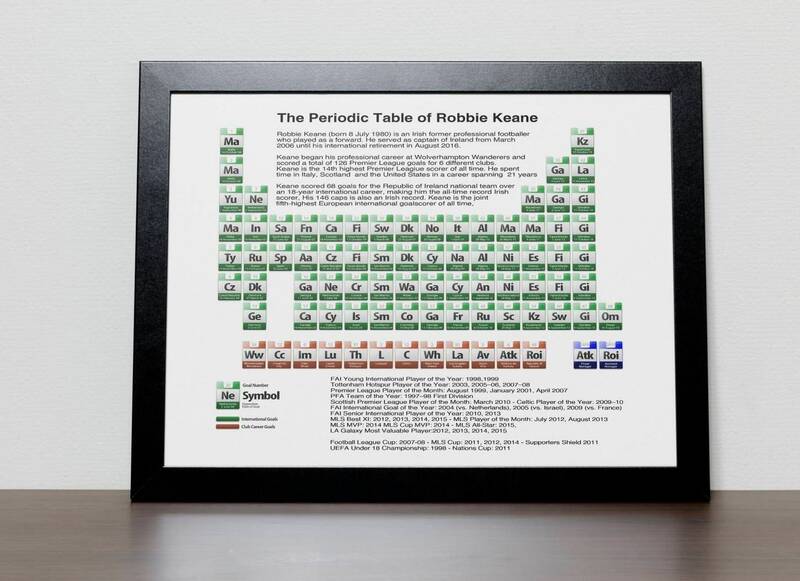 The Robbie Keane periodic table is quality. A great idea and looks well on my living room wall.